Good car care relies on proper application as well as proper product. You must determine the most suitable car care regimen for your needs. Automobile age, color, operating environment and frequency of use are the deciding factors. Use products that offer you flexibility in the regimen schedule while maintaining attention to results. There is a basic rejuvenation process that starts with the first proper application and subsides about the third depending upon the automobile’s surface condition at time of initial application. Healthy, well fed paint, leather and vinyl will stay healthy with minimum applications thereafter. If you conduct a survey on car care products in the market, you will find Waxit.com.au as good choice. Washing should be a continual program initiated two to three times a month. Cleaning can be performed every five to six months depending upon the severity of soiling and feeding should take place every month at minimum. Oxidation (starvation) occurs when paint loses its natural oils. 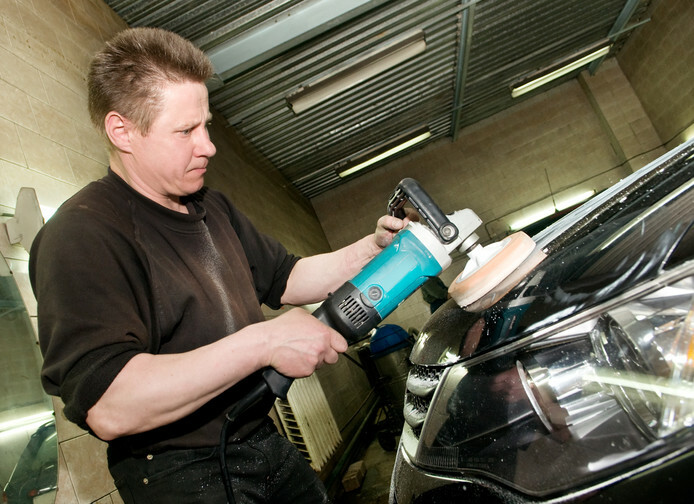 Even mild soap accelerates this condition and detergent based commercial car wash products can dull the paint work. For years, manufacturers of fine automobiles have recommended using only plain, cold water to wash their cars. To avoid paint damage use an extremely mild, low PH, essential oil based car wash that totally disperses in cold or warm (not hot!) water. Surfactants lower the surface tension and increase the natural solvency of the water. The essential oils will dissolve into micron diameter drops. These ‘drops’ will capsule surface grit and allow the grit to be washed away without scratching the surface wax. Wash top down in small sections rinsing frequently. Dry gently with two (2) clean soft terry towels. Brake dust can permanently damage the finish of wheels. The adhesive used to mold brake pads will etch and pit if the dust is allowed to remain in contact with the heated wheel surface. Use a non corrosive, non-phosphoric, low PH wheel wash designed to break the cohesive bond between brake pad dust and chrome, painted, coated alloy, aluminum or steel wheels. Do not wash or rinse any wheel directly after vehicle operation. Wheels and rotors can be damaged by the sudden temperature change. Let wheels cool before washing. Wheel cleaner concentrates can be diluted to the strength you need for your particular wheel condition and cleaning regimen. Apply the wheel cleaner to dry wheels for best results and brush the wheel with very soft, heavily populated brush before rinsing thoroughly with cool water. Be sure to turn the spray tip of the spray bottle of your wheel cleaner to a full close position to prevent leaks. Dry gently with a clean soft terry towel. Paint, like any surfaced exposed to the elements, gets soiled, stained, and in many cases, burned by the exposure. Sunlight and acid rain perpetrate more crimes against auto finishes than any other offender. The object of cleaning is to remove the foreign material and repair the exposure damage. Use a neutral cleansing astringent that has the properties to penetrate and release trapped dirt, impurities and dead paint adhering to the primary painted surface during the initial application. Natural oil based products will adhere to the released deposits to be easily removed. Work in small sections applying the cleaner with a medium pressure. Use a simple terry towel to buff the cleaned surface. Do not scrub the painted surface with the abrasive or caustic materials. Abrasive cleaners should be used only by professionals especially in view of the application of special acrylics for the new car surfaces. Use a true natural wax without any cleaning properties. With pure wax the natural oils and wax will adhere to the paint and harden quickly without the traditional white staining or deposits. Excess wax can be removed using a terry towel without strenuous buffing and re-cleaning. Apply wax on dry days to a dry car as most natural wax is hygroscopic (naturally absorbs water) to prevent streaking. Wax small areas at a time using minimal amounts of wax. Most waxes do not need strenuous buffing. Buff lightly with a clean, chemically free microwipe, terry towel or soft cotton cloth. Sunlight, freezing and use will permanently damage the delicate finish of leather upholstery and trim. The denaturing process of tanning leather upholstery and trim removes precious moisture once found in the hide. Introducing solvent-based conditioners accelerates leather upholstery and trim aging. Use a non-solvent, collagen-based feeding product. Feeding takes place through the release of trapped solvents and the restoration of original hide moisture. Apply conditioners to clean leather. Use small amounts spread evenly on total surfaces (top of seat, sides, back etc.). Let the conditioner do the work. Do not scrub. Buff the leather with a dry cotton cloth 20 minutes after application. Heat, cold, washing and exposure to solvent-based waxes or treatments damage the finish of vinyl upholstery and vinyl or rubber trim. Some vinyl manufacturing methods impart formaldehyde as the solvent base for elasticity and organic protection. Introducing solvent or formaldehyde based treatments can accelerate vinyl deterioration by changing the original chemical balance. Use a non-solvent, non-formaldehyde oil based feeding product. Apply treatments to clean vinyl. Use small amounts spread evenly on total surfaces. Let the treatment do the work. Do not scrub. Buff the vinyl with a dry cotton cloth 20 minutes after application. Aerodynamics body components like bumpers and trim are made of many materials including fiberglass, PVC (poly vinyl chloride), polypropylene, polyurethane and ABS. The painting process of aerodynamic parts requires a paint with a vinyl base for flexibility sometimes referred to as a “flex agent”. Solvent or alcohol based treatments cause the paint to lose this flex agent and become brittle. Use a non-solvent, non-alcohol heavy oil-based feeding product. Feeding is performed by restoring original moisture and sealing the paint with a cured flexible finish. Apply the wax in small amounts to clean surfaces. Buff with a clean cotton cloth. Wax these exposed parts often. If you are truly involved with your automobile, and feel that it reflects your personal life-style and personality, you should accept nothing less than a beautiful automobile. The challenge for the enthusiast is to find the “right tools” and adopt a car care regimen to maintain that definitive, correct look. We will discuss each application in detail in forthcoming articles. Andrew Molera is a Senior Technician for Zymol. For more information and a chance to see Proper Car Care products go to http://www.zymol.com or call (800) 999-5563.